Description: The Lotus flower is often viewed as a symbol of awakening. The reason is that while it grows in muddy ponds of sometimes stagnant water, it blossoms every day with the pre-morning sun. Common Uses: Lotus White Absolute is known for it's ability to calm and soothe. Users often feel more open to forgiveness and kindness. Consistency: Semi-solid at room temperature. Bottle should be placed in a hot water bath in order for absolute to liquefy. 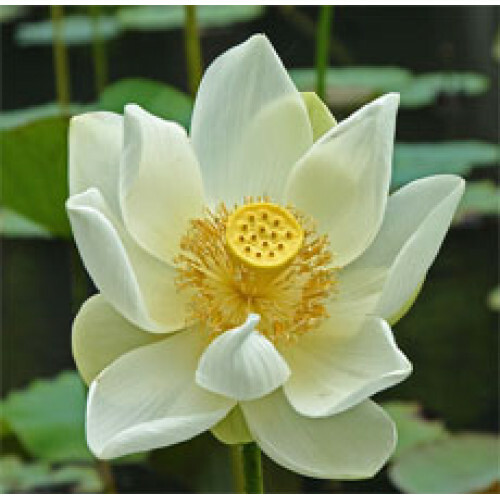 Aromatic Scent: Lotus White Absolute has an exotic floral aroma with slightly herbaceous and medicinal top notes. It is very similar to Lotus Pink.